Songwriting Help: How To Structure Your Songs For Maximum IMPACT! How should I structure my song so it has the biggest impact on my listeners? Is there a formula that can be used to work out song structures?The answer is yes, and no. There are a few ways you can approach this. And let me be perfectly honest with you. Working out a great structure for your song is DEAD EASY! You don’t need Phd to figure it out. Let me clue you in. There are three ways to come up with the perfect structure for your songs. Model the structure of an “already successful” song. Use creativity methods to create a completely unique song structure. Use both of the above techniques in combination.These three ways all work extremely well. Personally, I prefer number 3. One thing that works quite well is to look at the structure of songs that have already proven to be successful.You don’t need to take a songwriting class or have a degree in music to benefit from this strategy either. Take a song from your genre of music that you love. A song that you (and others) have labeled as a great song. Listen to this song, and as you do, jot down on a piece of paper the structure of the song. Once you have done this, you have discovered how to structure a great song! You can take ideas that you have created, and match them to this structure to form your own song. This strategy works particularly well if you have a collection of ideas for a song, but are struggling with how to set them out into a song format. All you need to do is match each idea to the structure of a song that has already been a success, and BAM, you have your song! Keep in mind that this is just one structure that could be used. There are really an infinite number of ways a song can be structured. Once you have this basic structure though, you can begin matching music from your “body of ideas” to the description that you have taken from your modeled song. Is Working Out the Song Structure Part of the Creative Process? You can certainly treat the way you structure your songs as a creative process. And in the next chapter you will discover just how to do that. But this is a part in the music creation process where, if need be, you can begin to invite the analytical part of your mind back into the picture, and use it to nut out the format of the song. 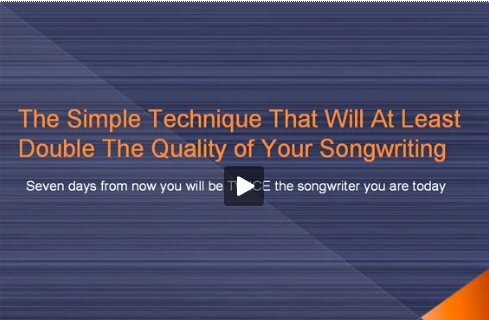 There are an enormous number of great songs that have been written, which means that there are an endless number of successful song structures that have been created. Why not benefit from the work that has already been done? I feel the best approach is to combine “proven song structures” with creative song structure techniques (which will be discussed in the next chapter). Combining these two methods will surely get the best results for any song you’re working on. My personal method is to begin with a proven structure, and then to adjust this structure as I perform my “creative” method of writing the structure for a song. Remember that your mind is the most powerful tool in this process, so feed it with the right information (i.e. some previously successful song structures), and set the intention of discovering the best way for a song to flow, and it will work out the answers for you.